Senior Vice President of Customer Care and Relationship Development Ann Sherry presents a scholarship check to UMass Boston freshman Luc Lafayette for participating in the student teller program at Charles River Bank during high school and for successfully completing his first semester of college. 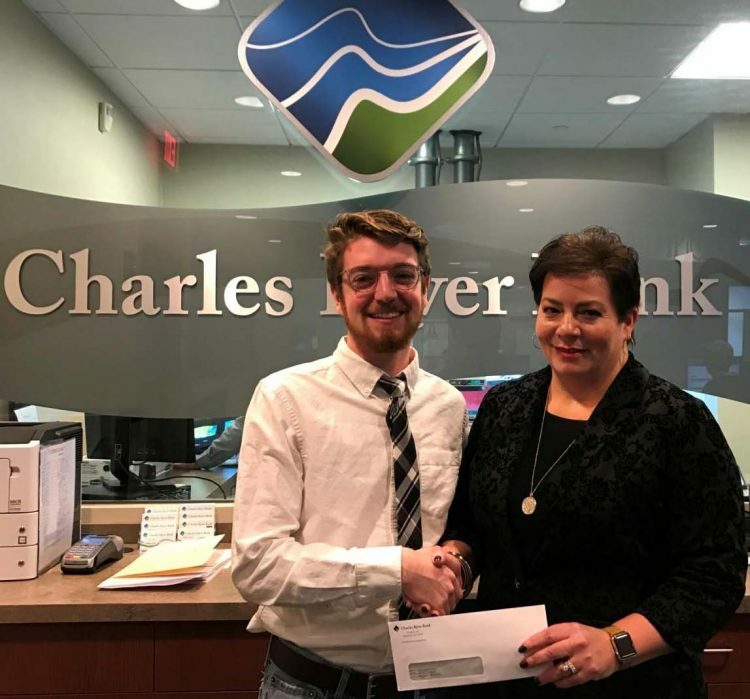 Charles River Bank Senior Vice President of Customer Care and Relationship Development Ann Sherry is pleased to award annual scholarships from Charles River Bank to Luc Lafayette, Brian Culcasi and Ashley Paturzo. All three students are 2016 graduates of Medway High School. Scholarship recipients must demonstrate that they have successfully completed their first semester of college and are enrolled for second semester classes. Lafayette is studying Political Science at the University of Massachusetts in Boston. Culcasi is in his freshmen year at Florida Gulf Coast University where he is majoring in professional golf management. Paturzo attends the University of South Carolina and is majoring in retail management. 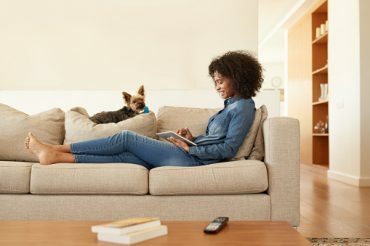 To be eligible for a scholarship, students must either participate as a student-teller in the School Bank Program at Medway High School where Charles River Bank operates a full-service educational branch, or be employed at any of Charles River Bank’s three branches. Student- tellers at the Medway High School office earn school credit as tellers at the school branch. They learn about banking operations, regulations, financial services and marketing. “Luc, Brian and Ashley are extremely deserving of these scholarships. They were wonderful assets to the Student Banking Program and Luc also worked in our Main Office at Charles River Bank. It’s exciting to see them succeed in college. I hope these scholarships will help each of them with their college expenses,” said Sherry.